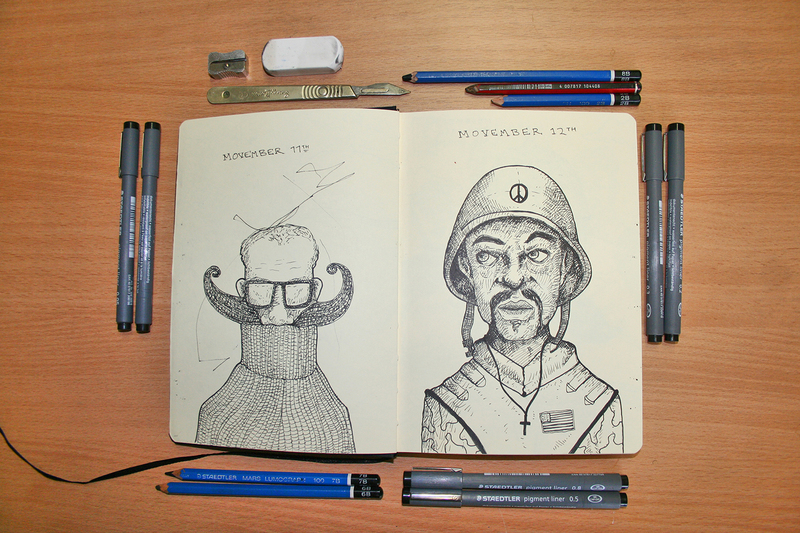 In 2014 we decided to do the Movember challenge at my day job Márla Communications. The design team grew ridiculous moustaches all for a good cause. 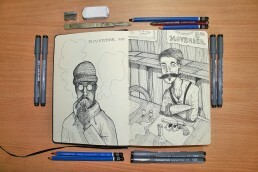 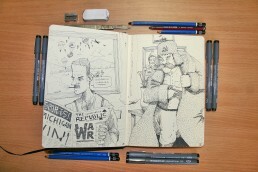 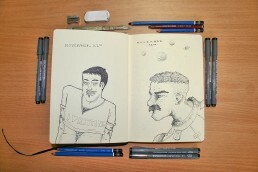 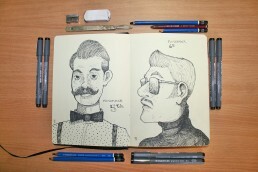 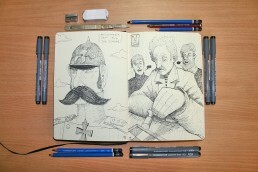 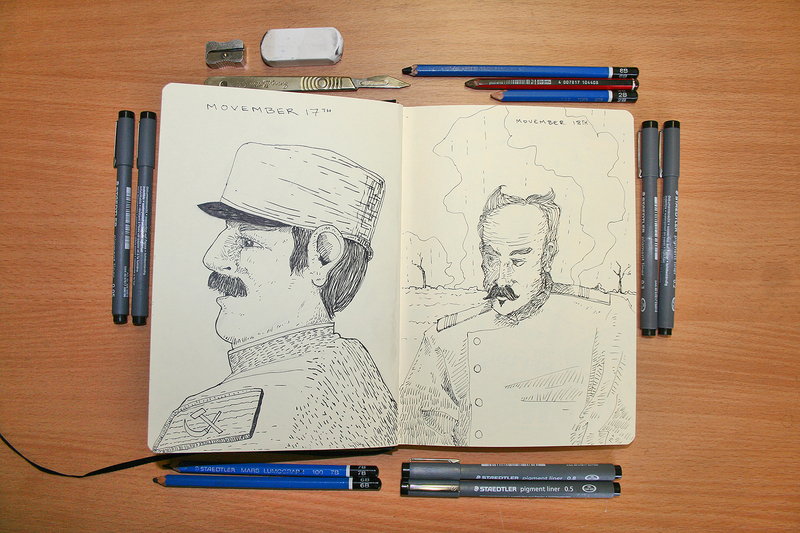 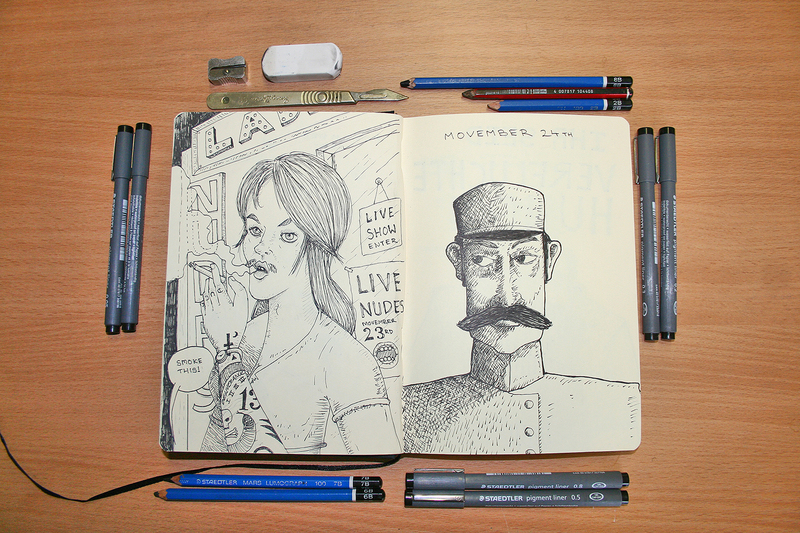 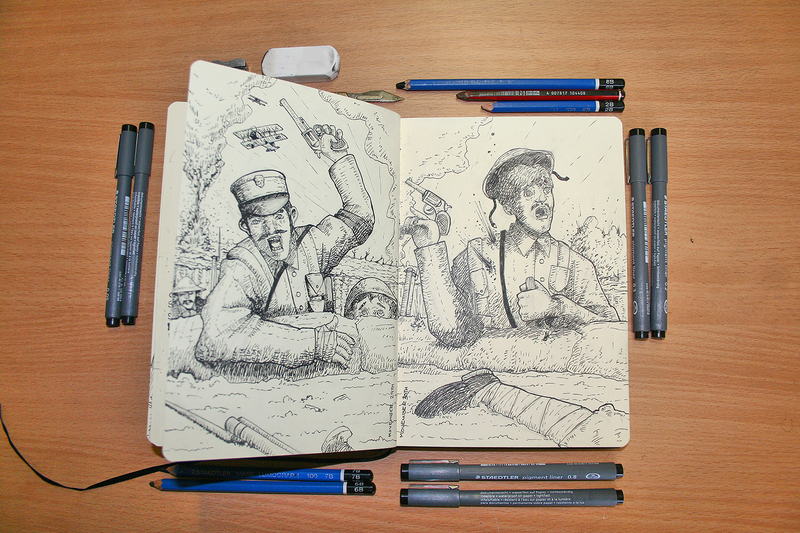 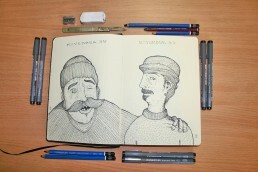 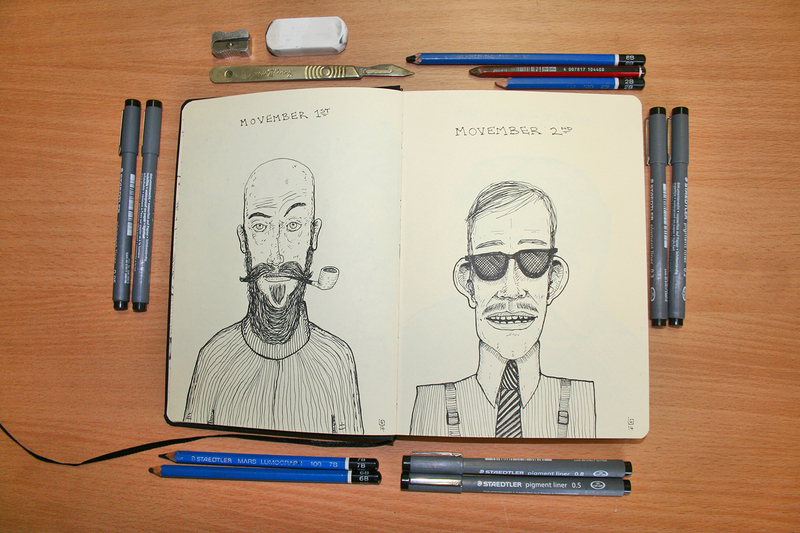 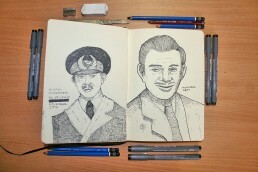 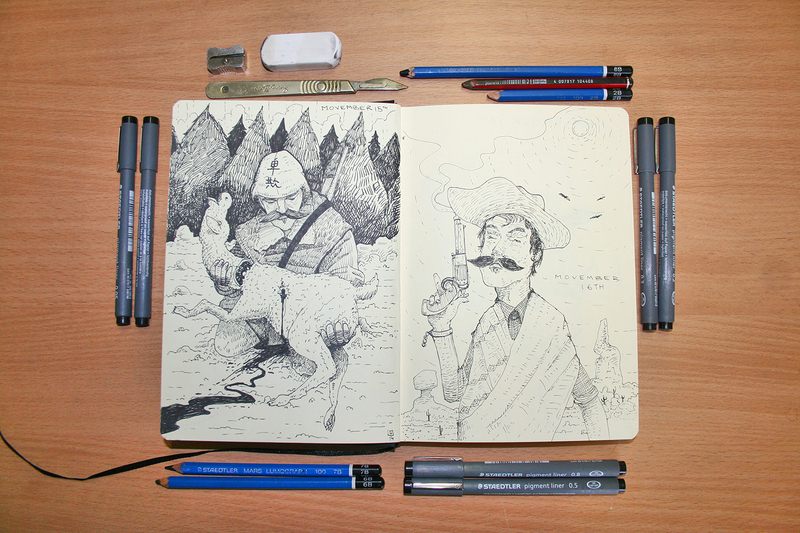 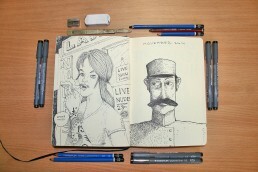 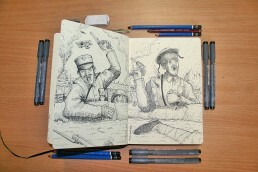 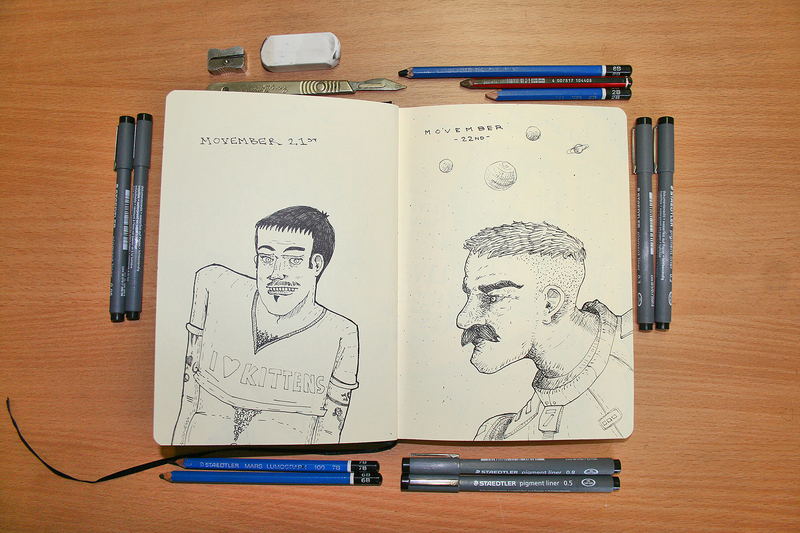 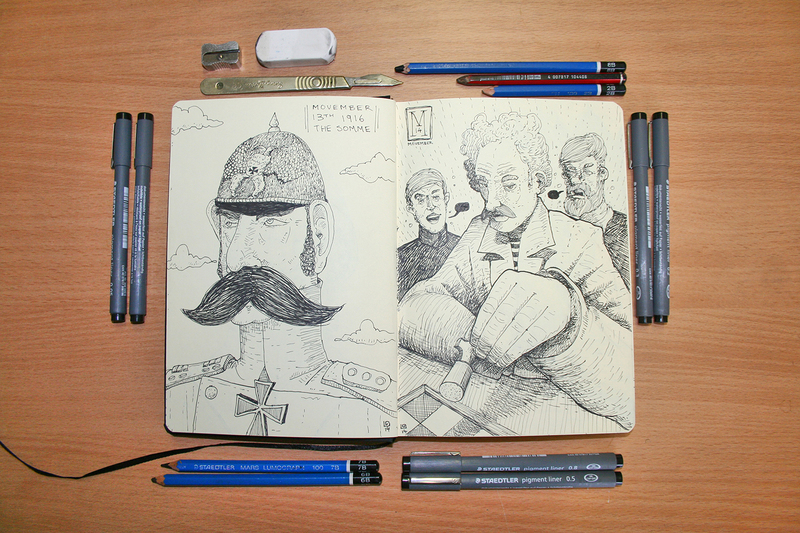 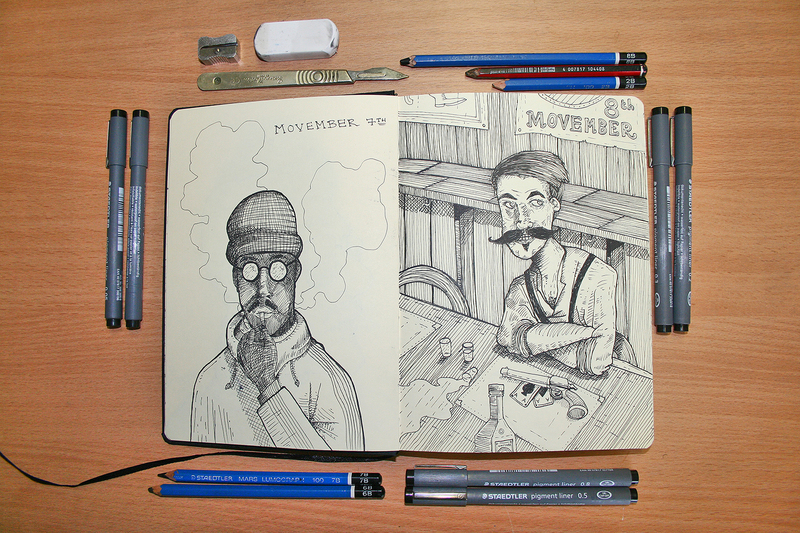 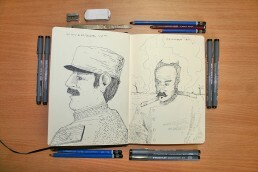 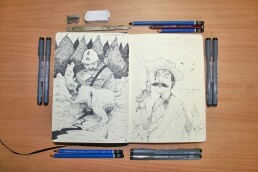 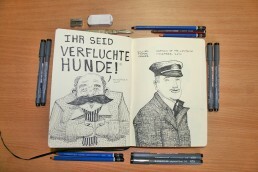 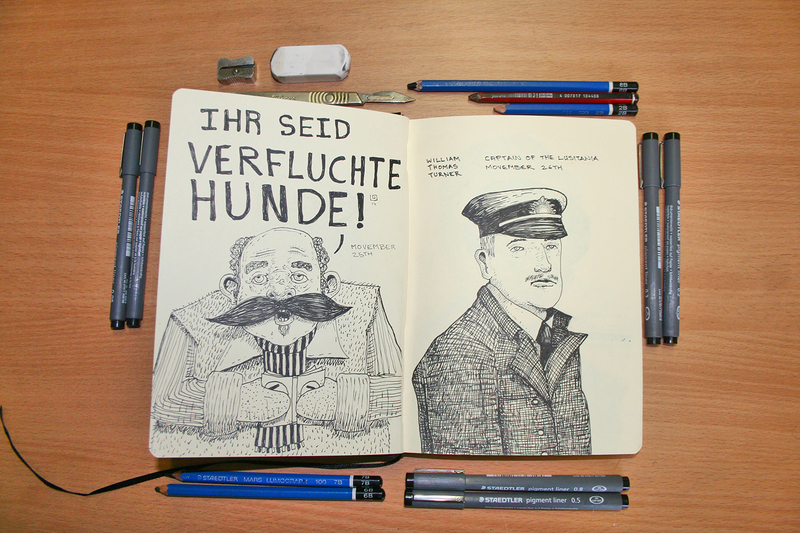 Alongside this I decided to do a Movember inspired sketch for each day of the month. 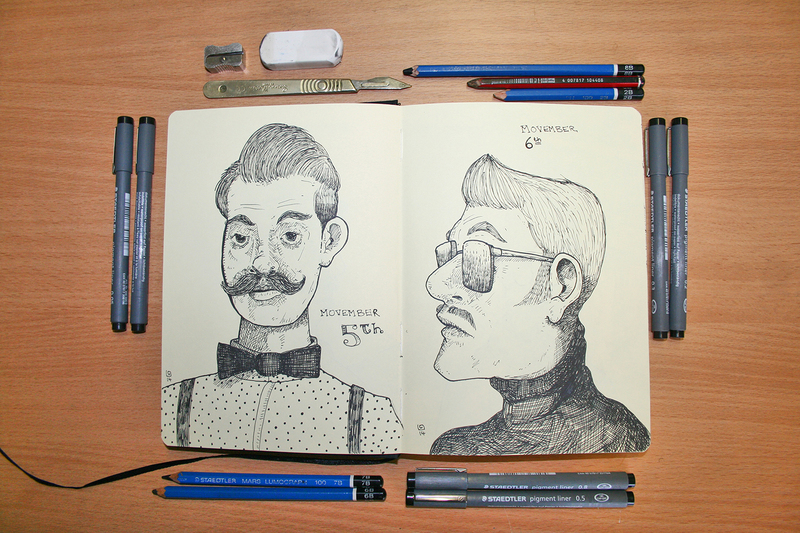 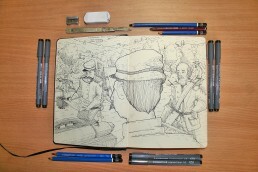 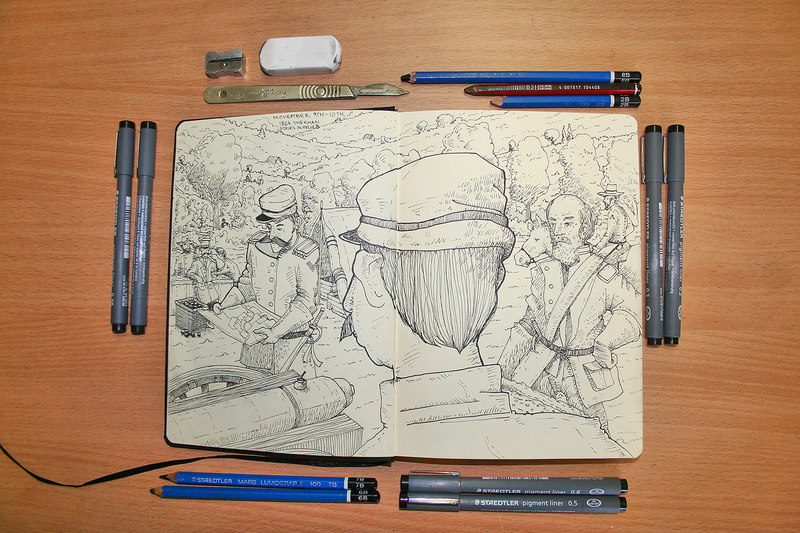 This was a great experience as it not only kept me sketching daily, but it also filled in for the fact I totally forgot to do Inktober! 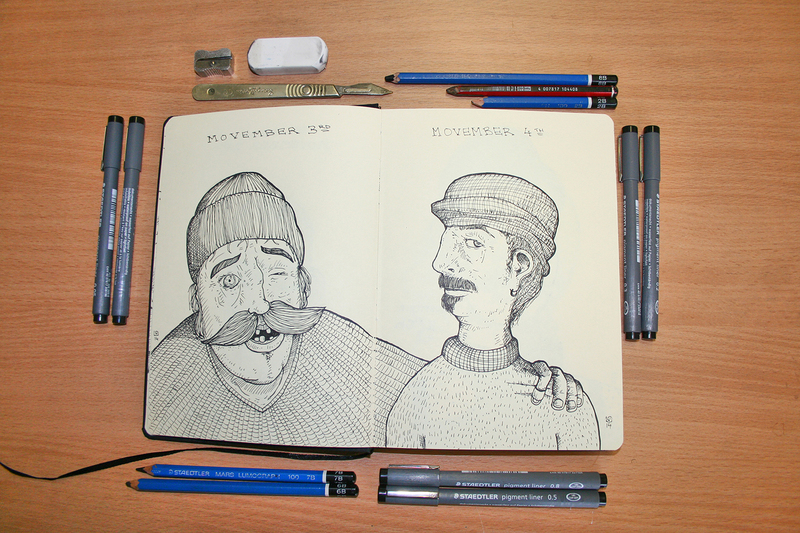 The shots below are from each of the spreads in the 30 days (decorated with the tools used), plus some close up details of each.